Over the last few years Sierra’s Phosphate Committee has actively participated in the permitting process for several phosphate mines. Sierra appealed the US Army Corps of Engineers' (Corps) permit for the South Fort Meade mine and after much legal activity achieved an important settlement with Mosaic. Mosaic set aside land along the Peace River in conservation and purchased the Peaceful Horse Ranch at the confluence of the Peace and Horse Creek for donation to the state for conservation and recreation. That donation should be completed shortly. 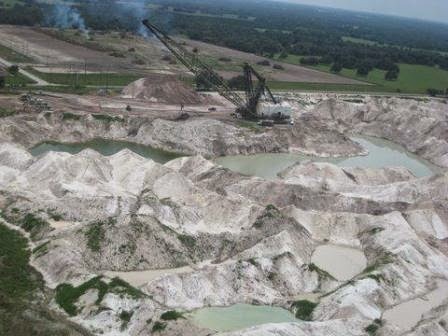 The Phosphate Committee was also active in the Corps' preparation of an Areawide Environmental Impact Statement (AEIS) for phosphate mining in the Bone Valley, filing multiple sets of comments and providing expert submissions on issues such as economics, wetlands and water impacts. ■ 2,222 additional acres of preservation focusing on Horse Creek, the West Fork of Horse Creek and other onsite stream systems. ■The preservation of a large wetland system in the center of the site that had originally been planned for a clay settling area. ■ Changes in mining procedures which will involve mining one side of a creek system and completely reclaiming it before mining the other. This change will maintain wildlife corridors during mining and will aid in protecting water flows. Changes in reclamation plans will result in more complex and more natural post-mining systems and the commitment to reclaim before mining the second side will guarantee timely reclamation, a continuing concern of environmentalists. ■ Offsite mitigation projects to include a bayhead restoration demonstration, restoration of Payne Creek in Polk County from a ditch (allowed under past reclamation protocols) to a natural stream and restoration of the area at the confluence of Bowlegs Creek and the Peace River. These last two projects will begin to repair reclamation projects approved under prior regulatory regimes which Sierrans have long argued were insufficient. ■The preservation areas will be designed to connect to preservation areas adjacent to Ona, for example, to the CF South Pasture Extension mine to the north and to potential mining areas to the south in DeSoto County. These connections, which will follow streams and connected wetland systems, will act to protect water flows and provide extended wildlife corridors. The improvements in the Ona mining plan do not mean that Sierra approves of phosphate mining. Indeed, the AEIS, flawed though it is, clearly revealed the great damage caused by mining that Sierra and others have complained about for years. Recognizing, however, that the Corps is determined to permit mining, the Phosphate Committee has worked to push for protections for streams and wildlife corridors and is supportive of the improvements made by Mosaic to the Ona plan. Sierra will continue to work to ensure that the Corps includes strong provisions in its permits to require that reclamation occurs promptly, that failures in elements such as water flows, water quality or similar issues are corrected through enforceable adaptive management and that the Corps and other responsible agencies undertake active enforcement of permit protections. The opportunity to repair past mistakes through well-thought out mitigation projects in areas previously impacted by mining is important as well. We have learned that unless we tell the regulators and the mining companies what their environmental protection priorities need to be they don’t get it, with the result that they continue to bless unconnected projects and mitigation banks far-removed from the mining damage. Sierra Club Florida continues to work to educate the public about the real impacts of mining and is very pleased that its Manatee/Sarasota Group has recently applied for and received an $8,000 grant from the Grassroots Network of Sierra Club to do just that. The Chapter ExCom applauds the initiative and commitment of Manatee/Sarasota as well as other Groups and individuals who have devoted so much energy and effort to the phosphate mining problem. Sierra is committed to a multi-level, multi-tool and practical response to mining, including education, research, expert input, regulatory participation, discussion and where appropriate, litigation. The U.S. Army Corps of Engineers is again dumping nutrient-polluted water into the St. Lucie and Caloosahatchee rivers, which can cause algal blooms threatening marine life. The only solution is for the South Florida Water Management District to buy sugar land to store and clean water and send it south to the Everglades instead. Tell the South Florida Water Management District to buy 46,800 acres of U.S. Sugar's land south of Lake Okeechobee before the state’s option expires in October. As an affected resident, I ask you to purchase 46,800 acres of US Sugar land now to build a reservoir and save the St. Lucie and Caloosahatchee estuaries. The water should be cleaned up and sent south to restore the Everglades instead. We do not have the luxury of time. We must act now! Last summer, U.S Sugar announced its intent to build a 67-square-mile city called Sugar Hill in the heart of the Everglades watershed. Although all commenting state agencies rejected the plan, the company can resubmit - the threat is not over. U.S. Sugar's city plan is expected to come back. This reinforces the need to buy sugar land now, as much of the land available for state purchase lies within the Sugar Hill proposal. A restored Everglades and healthy estuaries require more sugar land. Governor Scott and his appointees at South Florida Water Management District need to lay the groundwork for the purchase now. Catch the bus and speak out to protect Florida’s water and public lands! On February 18, Floridians' Clean Water Declaration and Amendment 1 activists will join forces for a "Floridians for Clean Water & Amendment 1 Rally" on the front steps of the historic Old Capitol in Tallahassee. After the rally, we'll spread out over the Capitol for the unique opportunity to take our water stories directly to decision makers! The Sierra Club, St. Johns Riverkeeper, and Florida’s Water & Land Legacy are providing bus service to the rally! You can catch a bus for a day-long round trip excursion from these 10 cities: Ft. Myers, Bradenton, St. Pete, Tampa, Gainesville, Orlando, Ocala, Port St. Lucie, Melbourne and Jacksonville. Click here to reserve your seat! Act now, buses will fill up fast! All buses will arrive in Tallahassee at 11 a.m. Buses will depart Tallahassee between 3:30 and 5 p.m. (check your route for exact departure time). WHO: Floridians' Clean Water Declaration and Amendment 1 activists from all across the state! WHEN: Wednesday, February 18 from 11:30 a.m. to 1:30 p.m. Thanks for taking action to protect our waterways! P.S. Let's pack the rally in Tallahassee -- after you reserve your own seat be sure to forward this alert to your friends, family, and colleagues. Click here to learn more about the Floridians' Clean Water Declaration Campaign and the rally. The state of Florida is moving to overturn a 20-year-old Florida Black Bear hunting ban. Take action to keep them out of the cross-hairs and speak at an important meeting in Jacksonville next week. Photo by Carlton Ward, Jr. The Florida Black bear is one of the most beloved species in the state. This subspecies of the American black bear once roamed every corner of the state from Pensacola to the Florida Keys. From a high population of 12,000 to currently 3,000, the state’s largest mammal has been driven from most of its habitat. To protect the bear, the state legislature banned its hunting in 1994. However, in 2012, the state lifted the bear’s “threatened” status to open the door to hunting. 1) Attend the meeting in Jacksonville. On Wednesday, February 4, the Fish and Wildlife Conservation Commission is holding a meeting in Jacksonville to consider reopening hunting of black bears. We are asking all members to attend the meeting at 8:30 am at the Hyatt Regency, 225 E. Coastline Drive, Jacksonville, and speak up against allowing hunting of black bears; all meeting information can be found here.Without your help, Florida’s small black bear population could soon be hunted for sport. Send an email to alexis.horn@sierraclub.org if you're attending or want more info. 2) Call the Fish and Wildlife Commissioners. Call them at (850) 488-4676 and tell them to not allow hunting. 3.) Send comments to Commissioners via e-mail. 4) Send comments to Commissioners via the on-line form. Tell commissioners to keep the hunting ban (see detailed talking points below). 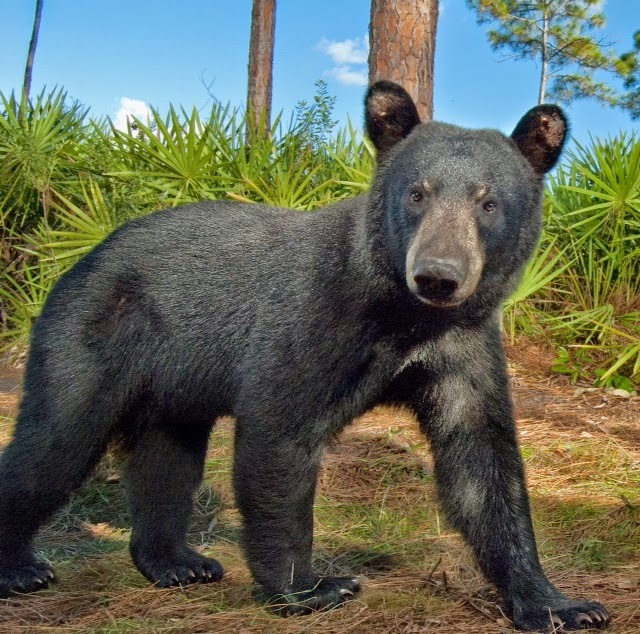 The Sierra Club opposes hunting of Florida black bears and continues to support the current FWC policy of capturing or euthanizing bears that pose a threat to public safety. The FWC Florida black bear management plan highlights the specific goal of reducing human-bear conflicts, which the Sierra Club supports. We believe that there are several ways we can reduce human-bear conflicts without the need for opening Florida to hunting of black bears. We support county level ordinances to require bear proofing of waste and recycling receptacles and waste disposal systems and increased enforcement of current laws, which prohibit the feeding of black bears in Florida. We support training local law enforcement personnel in responsible bear management and enforcement practices. This includes training and licensing Bear Response Program agents including ranch managers regarding bear-smart behavior. If adequately trained, local law enforcement could perform certain types of hazing which would also alleviate human-bear conflicts. We support educating Floridians to have a better understanding of bears and bear conservation measures. We support measures to educate Floridians about not leaving people or pet food outdoors that can attract bears. We support creating “bear smart communities” and meaningful efforts to implement smart growth management policies to prevent urban/suburban sprawl within black bear habitats. FWC as the state’s wildlife agency has a responsibility to provide professional comments to public land agencies, state transportation and local governments during their planning decisions. Given the aggressive decisions by FWC to work toward black bear population improvements and stabilization, it is more important than ever that professional advice be provided when planning and management decisions are being made. Further, we believe that FWC should continue to participate in the Florida Forever Acquisition and Restoration Council ranking process and comment on transportation projects. FWC should continue to support and promote Florida Forever Conservation projects, which link habitat corridors and do not isolate bear populations close to urban development. It is through the aforementioned efforts and other reasonable measures that we can alleviate the need for proposed changes to the Florida Black Bear Conservation rule and take hunting of black bears off the table. This week, Sierra Club Florida established its Legislative Policy Platform for the 2015 session. We encourage members to promote the following policies in dialog with legislators (call 'em up and schedule a visit on a matter in which you are interested); support this platform in conversation with your neighbors, workmates and friends; tell your local area officials about our interests--help them understand what we are proposing. Our representatives in Tallahassee will be focusing on key bills that are affected by this platform and educating officials on the whys and ways that would serve these goals. If you'd like to learn more about these subjects, to follow doings in and about Tallahassee, sign up for the Florida Report at www.sierraclub.org/memberlists, a periodic email from the Sierra Club about its lobbying efforts and how you can support them. In coming weeks, from time to time legislative committees will continue meeting, our lobbyists and volunteers will be visiting legislators and their staffs and several environmentally-oriented rallies and "lobby days" will be organized--stay tuned here or sign up for the Sierra Club Florida Report to learn more. Our principally chapter-funded lobbyist is Dave Cullen, returning to serve us for his 8th year at the Capitol. One can reach him at: 941-323-2404. His email address is: cullenasea@aol.com. Please contact him for advice, referral, or with information that pertains to effecting our platform. He's pretty busy, but regularly communicative--your contact may be referred to a supportive Sierra Club volunteer or staff member with expertise relating to your inquiry. There are fewer than 180 Florida panthers left, and 33 were unnecessarily killed last year. Take action now to tell the U.S. Fish and Wildlife Service to protect thepanthers' habitat! The U.S. Fish and Wildlife Service just announced that a record-breaking number of endangered Florida panthers were killed in 2014. What little habitat remains for this endangered species is under constant siege from development, oil drilling and mining. The development on their habitat creates a profound threat to their survival and led to the death of 33 Florida panthers last year. The fragile Florida panther population can't afford such a devastating loss. But unless we act, it will continue as more developers and fossil fuel businesses request permits to build and operate on their land. Send a letter to the U.S. Fish and Wildlife Service now telling them to protect the Florida panthers' habitat and put a stop to the development that threatens their survival. These majestic panthers once roamed throughout the Southeastern U.S. -- from Arkansas to Florida. Now, fewer than180 can be found in just three Florida counties. As their habitat disappears, the panthers are forced to survive in smaller areas, leading to more aggression between cats as they try to protect their territory. And, as more development leads to more and more roads running through their habitat, even more are killed by cars: 76% of the Florida panthers killed in 2014 were hit by cars. 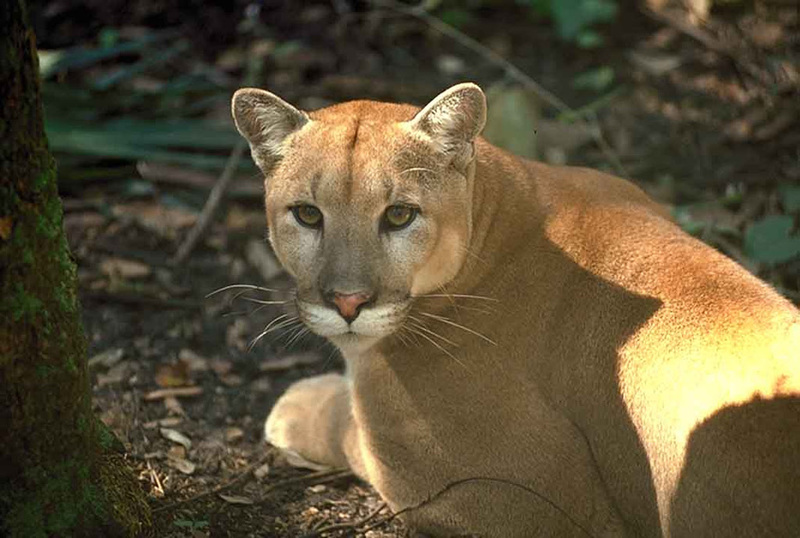 Each year Florida panther habitat has continued to shrink, but we can put a stop to it now. The U.S. Fish and Wildlife Service has the power to grant critical habitat designation to the lands that are essential to the continued existence of an endangered species. Take action now to tell the USFWS it's time to put a stop to unnecessary killings of Florida panthers by providing them with the critical habitat designation they so desperately need! The Sierra Club already took legal action to try to force the USFWS to provide critical habitat protection to Florida panthers, but the court decided the decision is up to the USFWS. While the courts may not have the power to compel action, SierraRise supporters like you do -- and already have. You have been leaders in this fight: after you sent 167,000 comments to the Environmental Protection Agency last year, a Big Oil project that threatened the panthers' habitat was cancelled. It's time to speak up to defend the panthers once again and put a stop to all of the projects that threaten their habitat. Send your letter to the USFWS now demanding they protect the remaining Florida panthers by protecting their home with a critical habitat designation. P.S. Five signatures are even more powerful than one -- after you take action, be sure to forward this alert to your friends, family, and colleagues! 1. U.S. Fish and Wildlife Service staff (accessed 2015 January 7). "Frequently Asked Questions About the Florida Panther." U.S. Fish and Wildlife Service. 2. U.S. Fish and Wildlife Service staff (accessed 2015 January 7). "Critical Habitat - What is it?" U.S. Fish and Wildlife Service. 3. Robinson, Michael (2010 February 11). "Critical Habitat Denied for the Endangered Florida Panther." Center for Biological Diversity. Join us in Tallahassee to protect Florida's precious lands and precious clean water! RSVP today! Now that thousands of people have signed the Floridians' Clean Water Declaration and millions of Florida voters said yes to Amendment 1 this past November, it's time to take our message directly to Tallahassee! 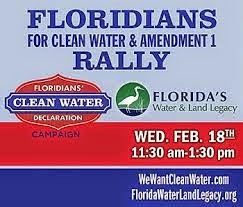 On February 18, Floridians' Clean Water Declaration and Amendment 1 activists will join forces for a "We Want Clean Water" rally on the front steps of the historic Old Capitol. After the rally, we'll spread out over the Capitol for the unique opportunity to bring our water stories directly to public officials and the state's highest water managers! Hundreds of civic, water, land and environmental groups will be represented in Tallahassee on February 18. We'll also be joined by public officials who have signed the Floridians' Clean Water Declaration and who are committed to working together to make water quality a top priority in Florida. Only together will we be able to turn the tide from green and red to beautiful blue! Time is running out for our algae-choked springs, dying Indian River Lagoon, red tide plagued Gulf Coast, slimed St. Johns River, long-suffering Everglades, disappearing coral reefs and dwindling Apalachicola River. The natural lands needed to protect our water quality remain unprotected, and will be unless dedicated Floridians like you speak up for clean water as a human right in Florida. RSVP today and join thousands of other dedicated activists on February 18! Join the fight to protect Florida's precious lands and precious clean water! P.S. After you take action, be sure to forward this alert to your friends and colleagues! Florida voters overwhelmingly approved the Florida Water and Land Legacy (Amendment One) by 75 %, more than any other environmental constitutional amendment in the history of the state. Now the Florida Senate wants to hear what you want them to do as far as making it happen. President Gardiner has given the Environmental Preservation and Conservation committee the job of figuring it out and they’re asking for your input. 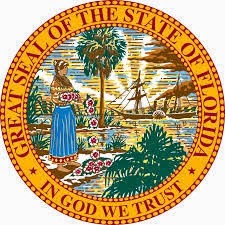 Chairman Dean has set up a webpage where you can submit comments on how the legislature should discharge its responsibilities in regard to Amendment One: http://www.flsenate.gov/Media/Topics/wlc The site also has information about the amendment you may find of interest. The Jan. 7 meeting of Sen. Dean’s committee was devoted to the Amendment and can be seen here: http://flsenate.gov/Committees/Show/EP/ Scroll down to the 2015 Meetings Records box and click on ‘Post Meeting Packet’ and ‘Video’. Find your Rep. and Senator at:http://myfloridahouse.gov/Sections/Representatives/myrepresentative.aspx andhttp://www.flsenate.gov/Senators/Find These sites will take you to each legislator’s page where you’ll find their district addresses and phone numbers. 3) Let me know what your legislator says: If you talk with your legislators or their staff about Amendment One, please let me know what they say. That kind of feedback will really help my work as the Sierra Club lobbyist. Thank you for everything you do for the planet! Have we learned anything from the Cross Florida Barge Canal? Jacksonville, Florida: Sierra Club has opposed the dredging of the St. Johns River to 47’ on environmental and economic grounds. We have aligned with the St. Johns Riverkeeper, as well as other environmental organizations which feel the environmental risks and costs to the taxpayers are grossly understated; economic benefit and jobs are overstated. Sierra Club acknowledges the proposed memorandum of understanding between Riverkeeper, JAXPort, the City administration and the Chamber of Commerce to restore the Ocklawaha River. 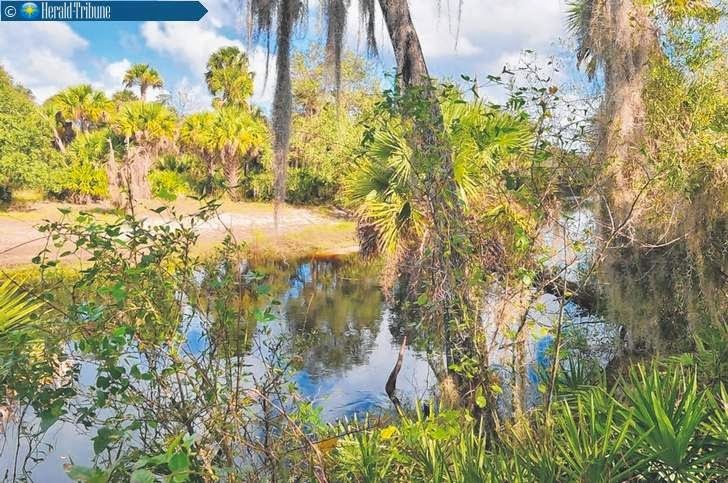 Removal of the Rodman dam on the Ocklawaha River would markedly increase the flow of fresh water into the St. Johns River, and could offset some of the increased salinity impacts the St. Johns River will suffer as a result of the port dredging. Sierra Club, along many others, including state and federal authorities, has long supported efforts to undo some of the environmental damage caused by the debacle that was the Cross Florida Barge Canal by restoring the Ocklawaha River to its natural state. Nevertheless, Sierra Club fears that those efforts merely trade an old environmental and economic disaster for a new environmental and economic disaster--harmful environmental effects, and comparisons with other ports indicate that the dredging and other costs will negatively impact the city's finances for the foreseeable future. What have we learned in the half century since the Barge Canal was abandoned? Inadequate mitigation funds to address unanticipated environmental impacts. The fact is, the full extent of harm from the port dredging is still largely unknown. Dubious economic data is a concern for taxpayers in Jacksonville, who will see a rise in taxes to pay for the costs. Many costs are omitted from the equation, such as potential cost to raise the Dames Point Bridge if the big ships do come—remember the cruise terminal issue? How about costs to augment railroads and roadways? 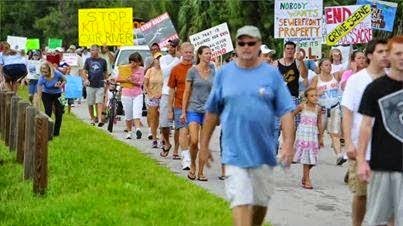 Taxpayers of Northeast Florida must ask themselves if there are better ways to spend $400-$700 million dollars, in view of the Police and Fire Pension Fund liability, addressing crime and needs for developing opportunities for the poor, dealing with widespread septic tank failures, road and bridge maintenance and development pressures on infrastructure and costs to the community. We urge citizens of Jacksonville to look at the full scope of environmental risks, potential restoration of the Ocklawaha notwithstanding, and consider the significant financial unknowns when the results of the Mayor’s Task force are released and as public dialogue continues. An American Heritage River* is a terrible thing to waste. Here’s a link to a 1999 Craig Pittman story that shows the “influence-ability” of the ACOE related to the Barge Canal. www.sptimes.com/News/103199/Floridian/Digging_ourselves_int.shtml. We can’t let history keep repeating itself.